It’s never easy to say goodbye to a beloved pet. 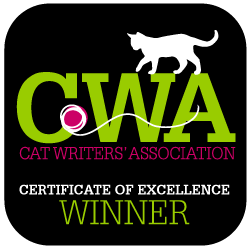 I was reminded of this recently when a fellow author and editor of my publisher had to put her dear dog to sleep and another author friend lost her young cat suddenly. Their stories touched me and brought back sad memories of all the wonderful pets I’ve had through the years who are now gone but still in my heart. My very first encounter with death as a young child was when a sweet kitten my mother brought home from a pet store died from feline leukemia. I went on to loving and losing many more special pets. My last was Floppy, a gray and white shorthair I had for 15 years. When I first brought Floppy home to the apartment I shared with my new husband, I discovered he suffered from asthma. Our vet put him on Prednisone and warned us it might have some side effects. At 8, Floppy developed diabetes. I learned to administer insulin shots to him, but he started having problems with his liver and also suffered a bout of pancreatitis. My husband and I spent a small fortune on hospitalizations, and he rallied several times, but the time arrived when I knew I had no choice but to let him go. I was just glad I could be there as the vet gave him that final injection. It was one of the saddest days of my life. After Floppy passed away, I didn’t get another cat right away. 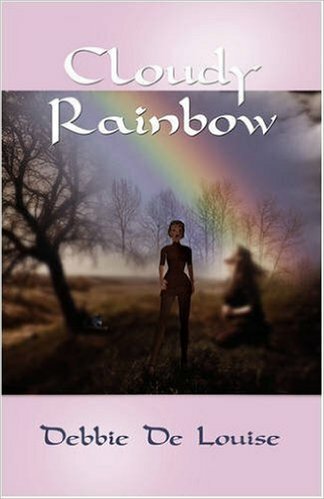 I wrote a book that featured him as a character in it, “Cloudy Rainbow,” and I self-published it in the hope that others who have lost a pet might find some comfort through reading it. My vet even placed a copy in his waiting room. I found some other ways to memorialize Floppy. I enrolled him in an online pet memorial site that features pets (for a fee, although many others are now free) and offers a candle lighting ceremony. 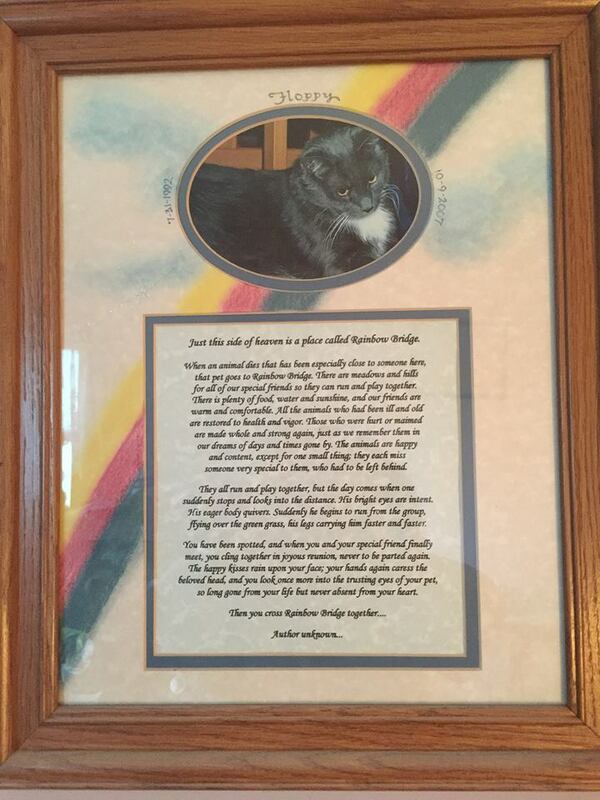 I also purchased a framed photo holder that included a copy of the famous Rainbow Bridge poem about pets being reunited with their owners in a special area of heaven reserved for animals. I now have two cats. 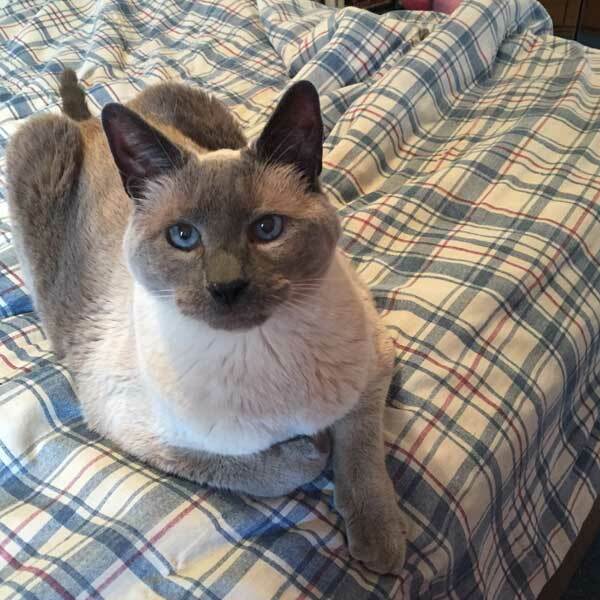 One of them, Oliver, a Siamese, is considered elderly at the age of 16. He was my mother’s cat but has been with us for three years. I was reluctant to take him in initially, but my daughter insisted. She was very young when Floppy passed away but still remembers him. Oliver has bonded with both of us and is a wonderful addition to our family. I know I will miss him immensely when he passes, but I am enjoying every day with him until that time. Since I thought I’d lose Floppy earlier than I did, I was prepared with a pet casket I purchased online. I am thinking of cremating Oliver and keeping his ashes in a special memorial urn. I’m hoping it will not be necessary to make that decision for some time. No matter how short or long a beloved pet is with you it is never enough. I’m including some links to sites that offer pet loss support as well as sell pet caskets and urns. These are for information only. I am not endorsing any of them, and you can find dozens and dozens of others. Losing a pet is like losing a member of the family, and, although the grief subsides eventually, those special fur kids leave pawprints on our hearts forever. Previous Post Have you Read Gabriela Cabezut’s Coming of Age YA romance, Hopelessly Imperfect? 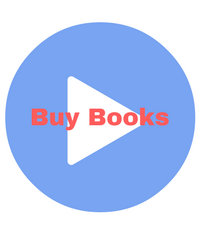 Next Post Have you Read A.L. Vincent’s Tangled Up in You? Thanks for sharing the great information. I read this blog and must say the information that you shared in this blog is really very useful. Please post more blog related to ” Pets Forever”. It would be really helpful for those people who want to share their best memories with pets. I’m glad you found the information in my post useful, and I will try to write similar ones in the future if I can.